and our logo on the back. 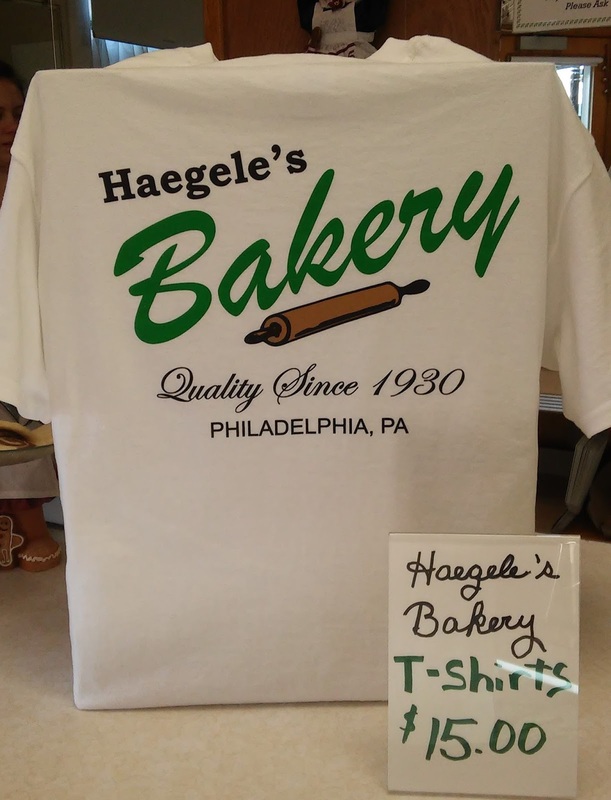 You may remember our original green t-shirts, you may even still wear one. Now there's one to go with bakers' whites. Why do bakers wear white anyway, you may ask???... 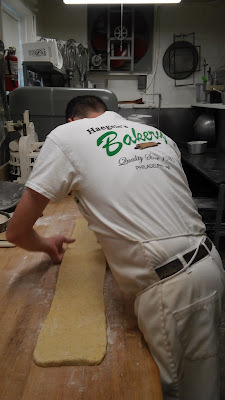 conceals the flour that they wear from working at the bench. 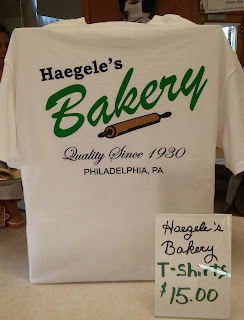 Ahhh back to business as usual at Haegele's!